I had promised Wendy Evans that I'd be there to see her off on her adventure of sailing solo around our magnificent lake. For someone with severe cerebral palsy, it was a very gutsy thing to do, but Wendy has shown many times she has what it takes to take on and beat challenges. 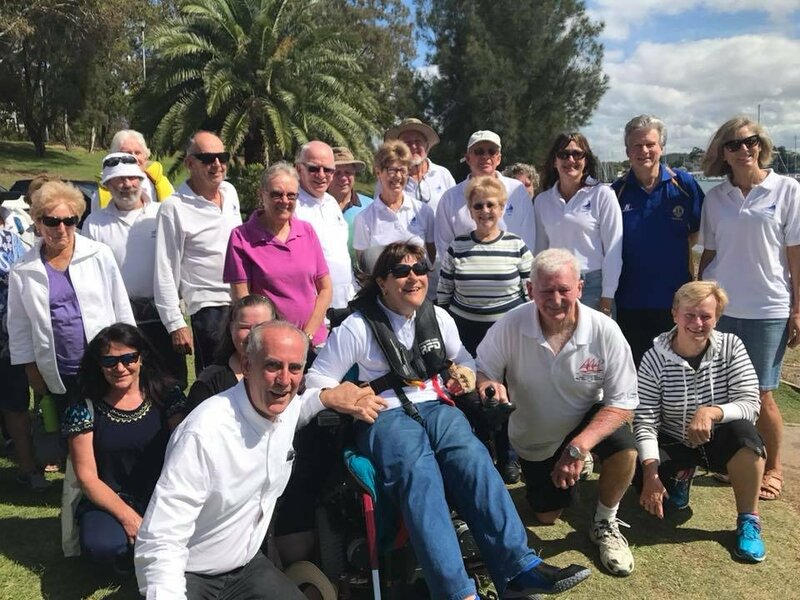 A CHARLESTOWN woman who has cerebral palsy will attempt to become the first person with a severe disability to sail solo around Lake Macquarie. Wendy Evans will set out from Toronto this Friday, November 10, on the first leg of the journey, from Toronto to Speers Point. Ms Evans sails with Sailability Toronto. She will attempt the journey in a specially modified Hansa 303 dinghy. Sailability Toronto president Marg Jensen said Ms Evans was an accomplished sailor who loved the sport. “Wendy started sailing at Belmont in 1997 and is doing this because it’s her dream,” Ms Jesnsen said. Sailability Toronto members will gather to give her a good send-off at 10am on Friday, from the jetty at Toronto Amateur Sailing Club. “Wendy has a noteworthy history of racing and winning regattas both in Australia and internationally, but this is the first time a venture like this has been attempted on Lake Macquarie,” Ms Jensen said. Ms Evans hopes to raise awareness about people with a disability, and their potential for achievement.